With 5 size options and various configurations and functions, the DD series has suitable solutions for dozens of different cash management applications. Scroll down to find out more. 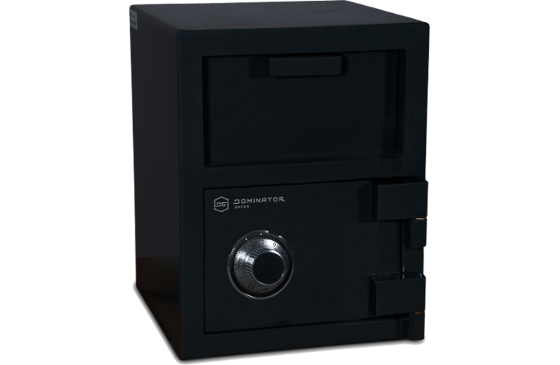 Dominator Safes® DD Series deposit safes are designed to provide limited access to the inside compartments of the safe, while allowing easy access to deposit cash or valuables through and secure deposit drawer or slot. The compact sized DD-1 is the smallest in the DD Series, allowing fast and efficient deposits without the need to open the main door. The direct locking configuration allows more cost efficient security for retail applications. 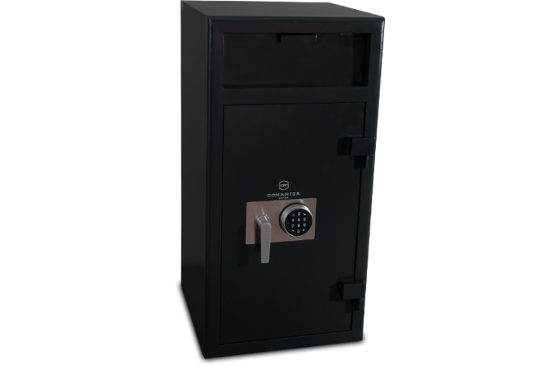 The DD-2 deposit safe allows easy conversion to high security locking devices by introducing a handle driven bolt locking design. The internal area is larger than the DD-1, allowing more storage area for cash and retails deposits. The DD-3 is the first size to introduce a separate internal compartment that catches the deposited items and stores them separate to the other holdings. This feature allows you to provide staff access to change or other items, without accessing the main cash deposits. The DD-4 provides large open space storage for deposits, without separating access to the internal areas. The internal compartment includes adjustable shelving to allow individual configuration and can be removed if large open spacing is required. 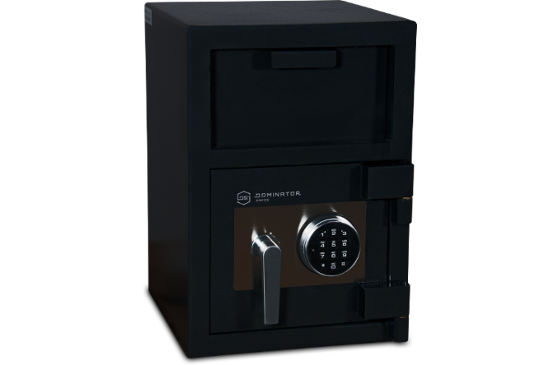 The DD-5 is the largest deposit safe in the DD Series. 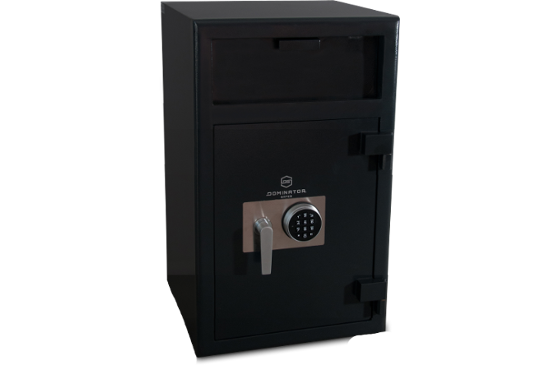 The interior also includes the key lockable compartment to separate deposited items from the below storage area, allowing users to freely access the relevant compartments without compromising security. The main storage compartment is fitted with adjustable shelving to allow configuration to suit unique applications and requirements.